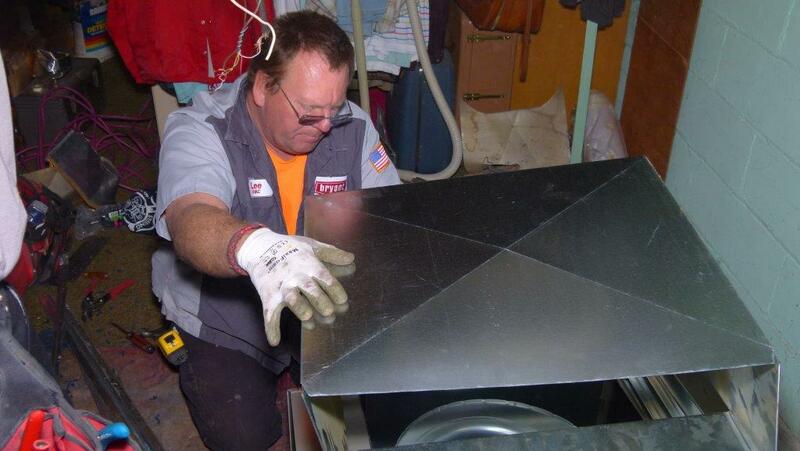 Bernie’s home was heated by a very old, what we call a “low boy”, furnace. 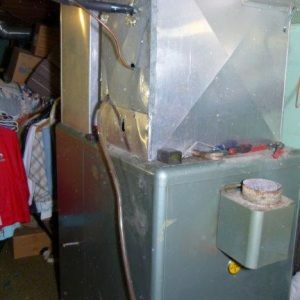 The furnace itself was easily 40 – 50 years old and although it continued to run, it was without a doubt less than efficient. 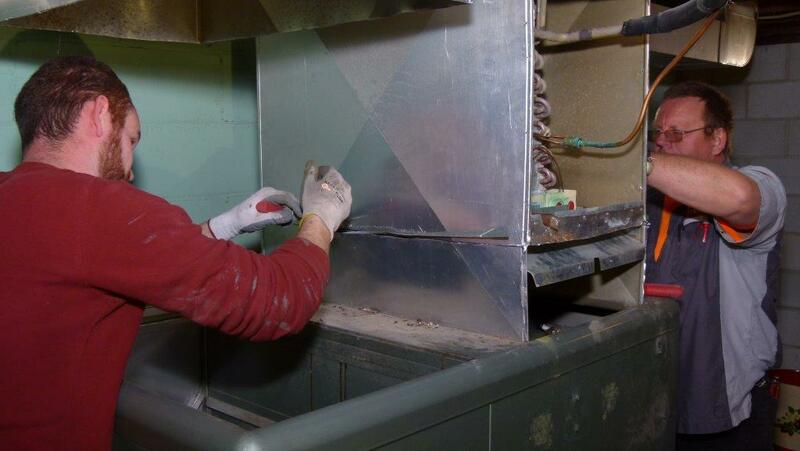 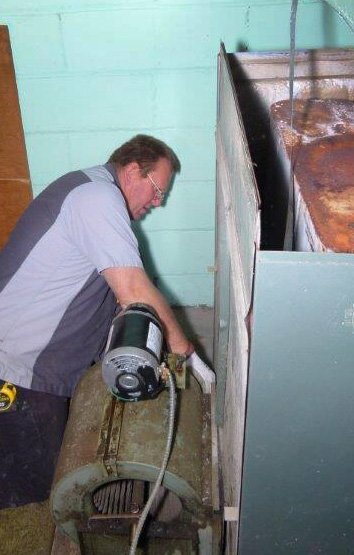 Bernie had several technicians in the recent years mention with its age and the rust within the heating chambers it was getting less and less safe by the year. 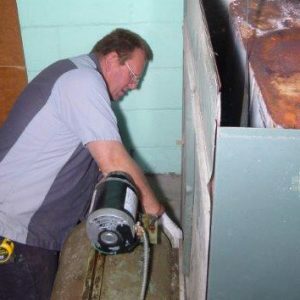 It was suggested various times that a replacement was needed. 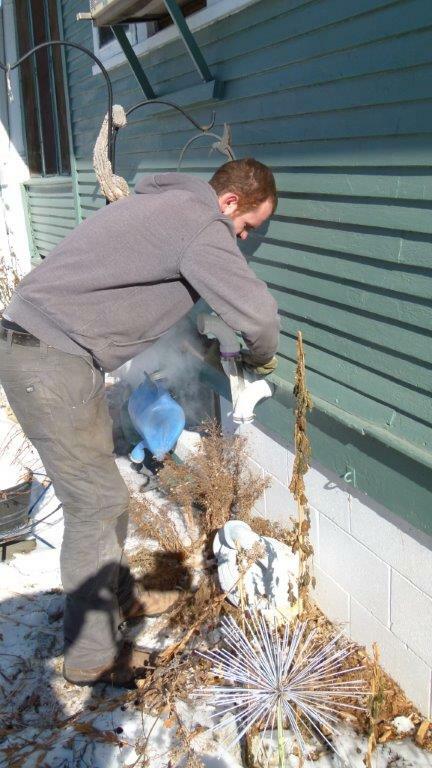 Bernie’s sister Caroline, nominated him for the Warm Winter Wish knowing that the home’s old furnace didn’t have much life left and was becoming less and less reliable by the day. 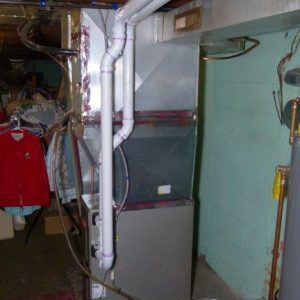 She knew that if the furnace were to fail it would undoubtedly be a financial burden for Bernie who is on a restricted budget. 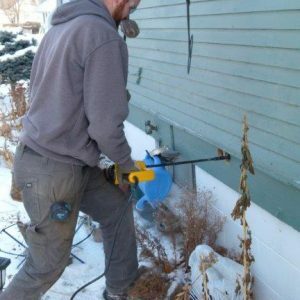 Bernie recently finished treatments for an aggressive prostate cancer, going through 40+ radiation treatments and continues to recover from the ill effects from those treatments. 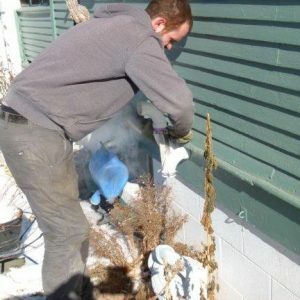 Knowing what he has gone through with his cancer treatments, has given Caroline a greater appreciation for the care Bernie provided for their parents as health began to deteriorate. 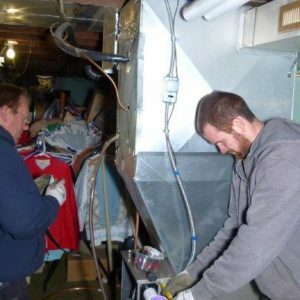 The care he provided them minimizing the time either parent stayed in a nursing home, something that was important to their aging parents. 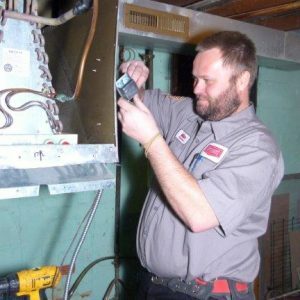 Learning about Bernie’s story and how he’s taken time to help other’s through the years Bryant Air Conditioning, Heating, Electrical and Plumbing wanted to ensure his old “low boy” furnace didn’t become a burden. 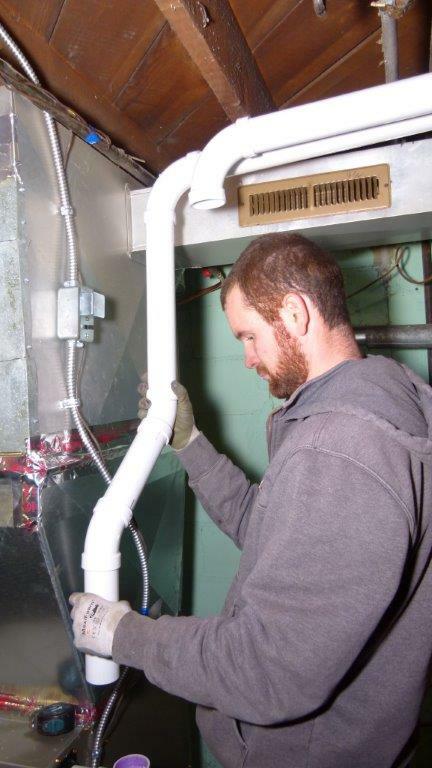 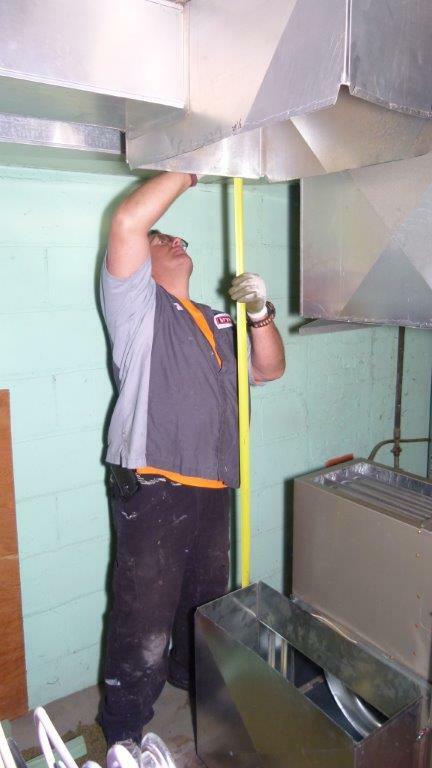 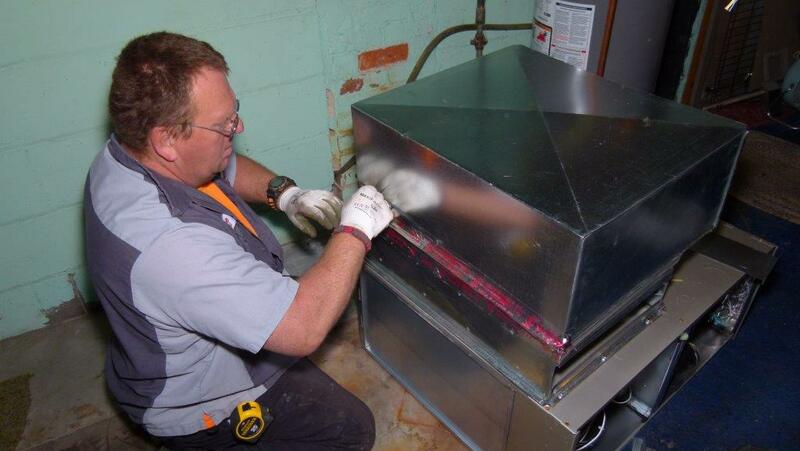 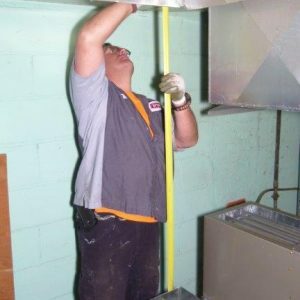 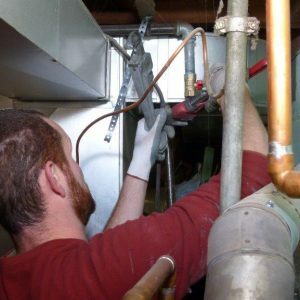 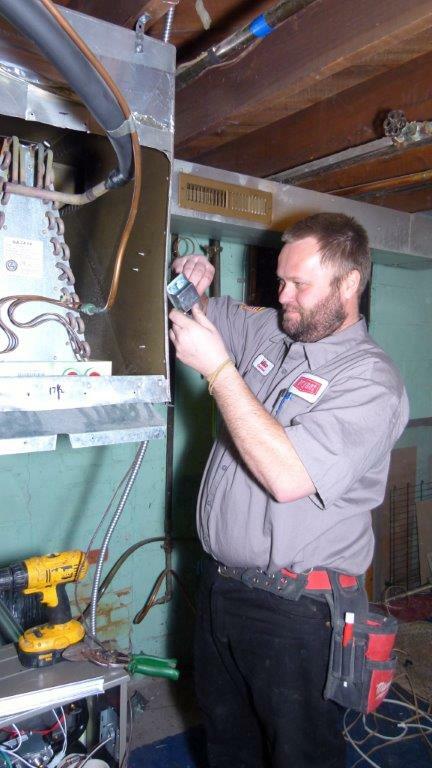 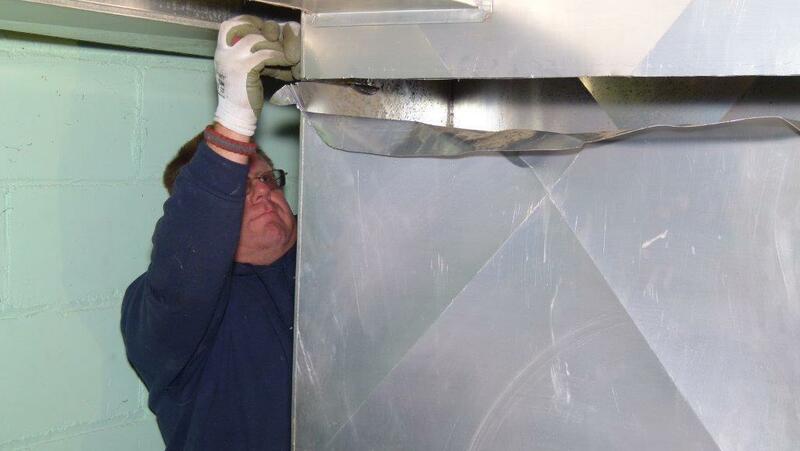 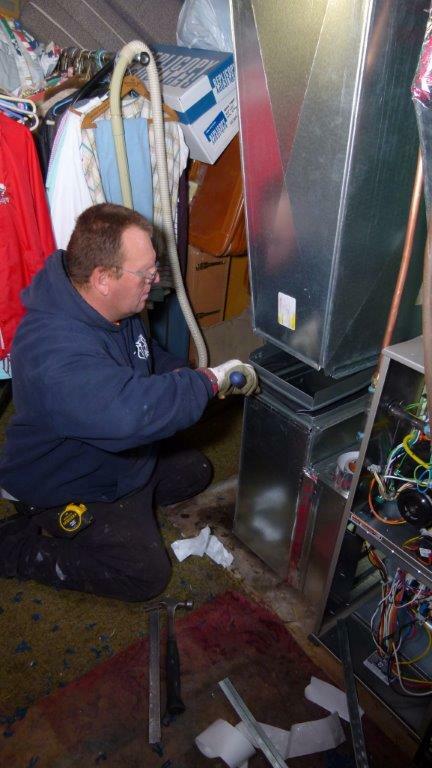 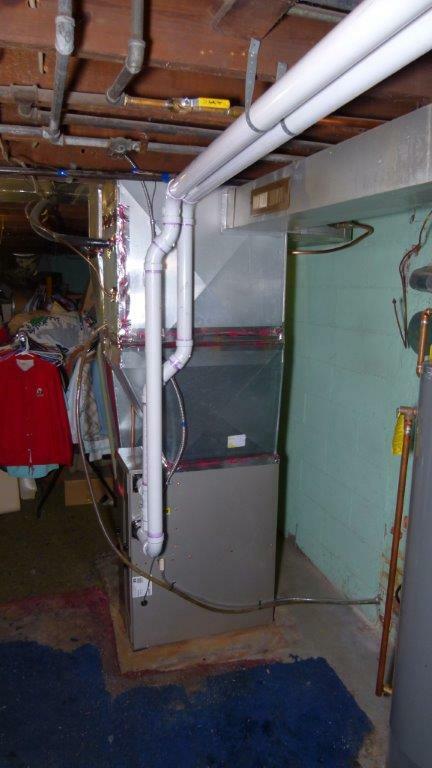 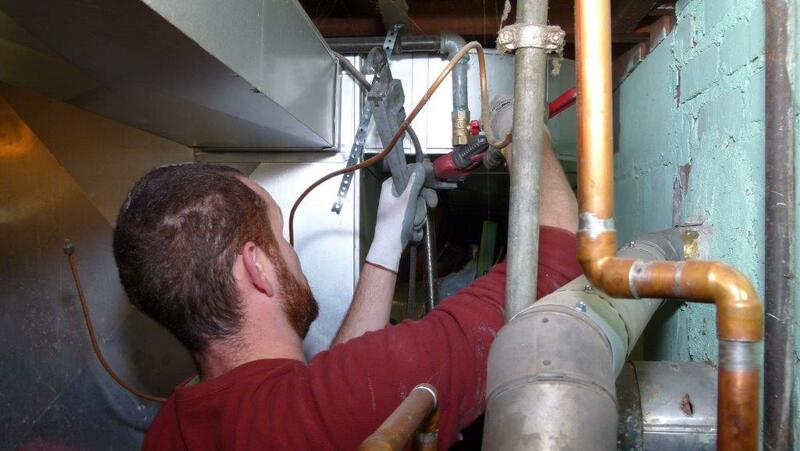 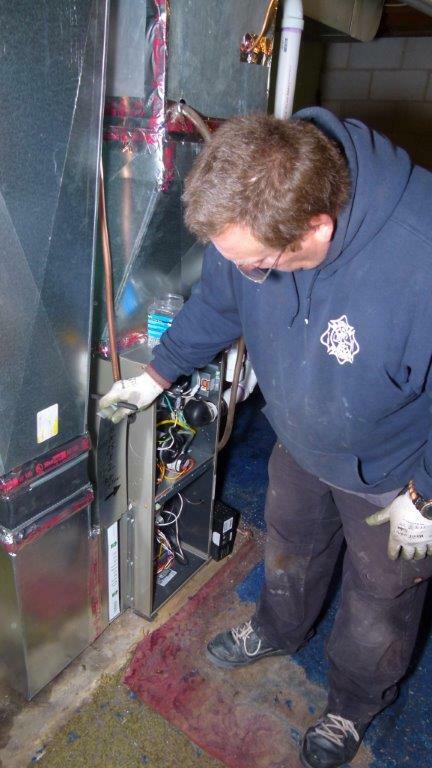 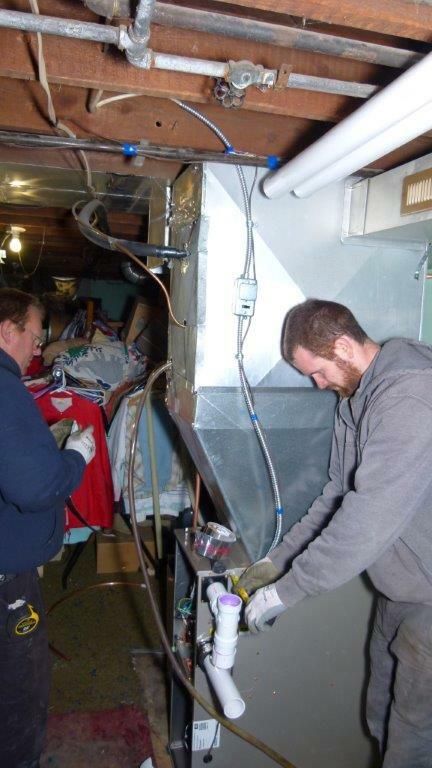 Bryant replaced Bernie’s furnace with a high efficient 95% efficient Bryant Heating & Cooling Systems gas furnace. 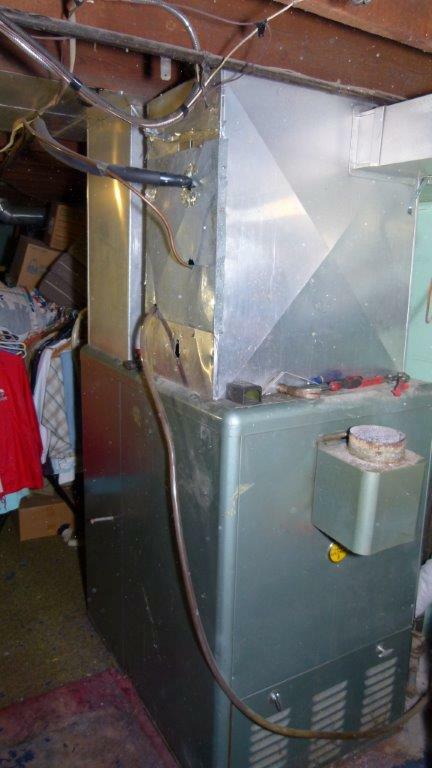 You’ll see in the pictures below the difference between the size of the old furnace compared to new. 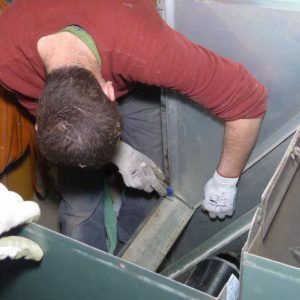 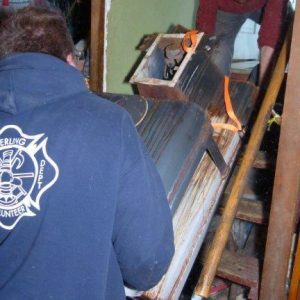 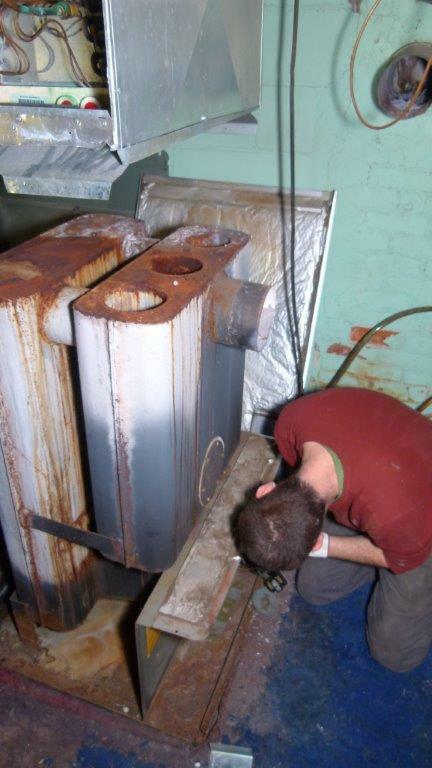 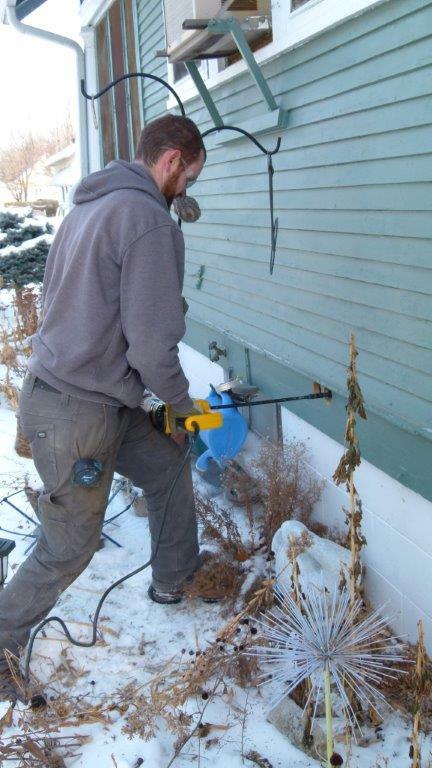 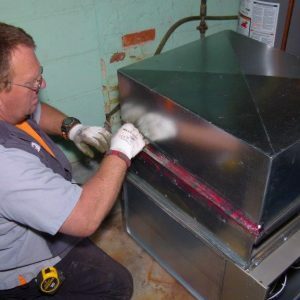 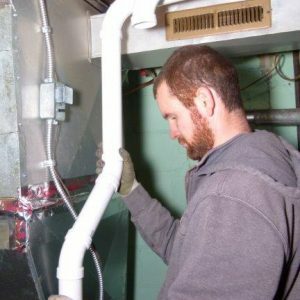 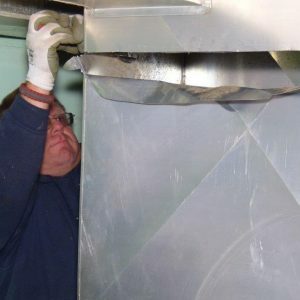 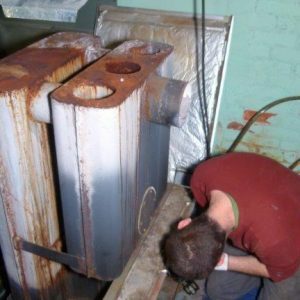 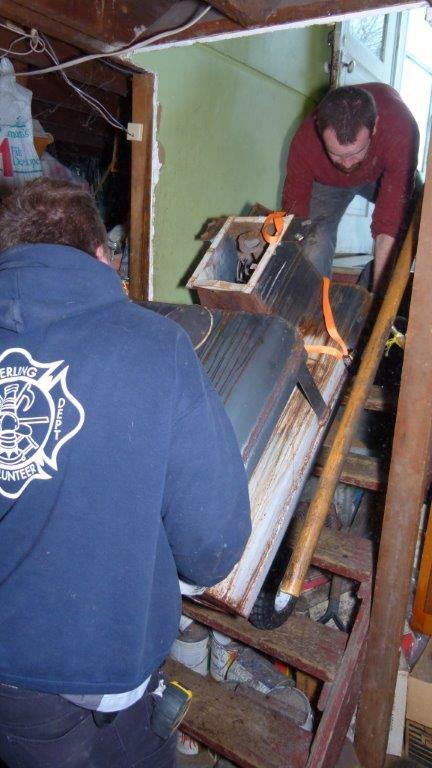 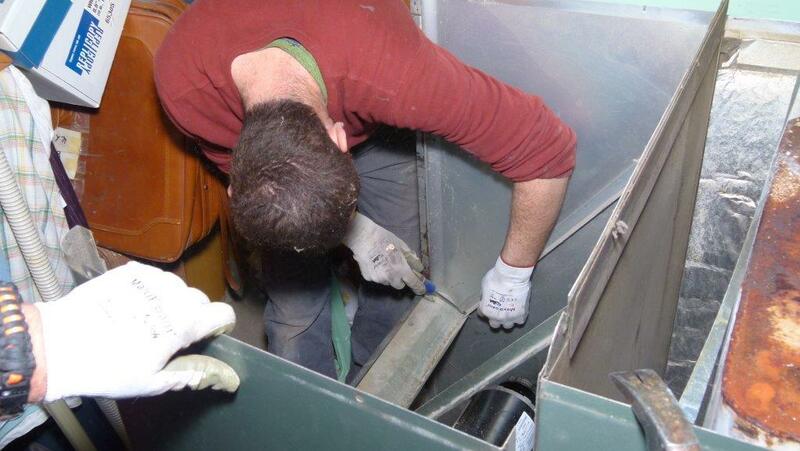 His old furnace was roughly 4 feet wide by 3 feet tall requiring our installers, Lee and Jason, break it down into pieces to remove it from his home. 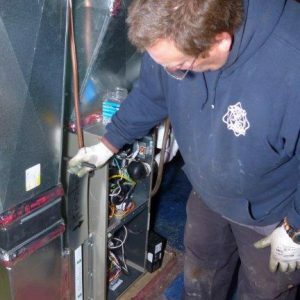 Listen in as Kevin along with Joe Skarre from the 105.3 WOW FM call Bernie to deliver the good news that he was selected as a Warm Winter Wish recipient.